Relevance Human Leukocyte Antigens (HLA) are highly polymorphic proteins that are involved in the presentation of antigens to the T-cell receptor. There are two classes of HLA antigens, class I (HLA-A, HLA-B and HLA-C) and class II (HLA-D). This antibody can be used for HLA typing. Notes BB7.2 fixes complement and is cytotoxic for peripheral blood leukocytes and lymphoid cell lines. Chawla et al., 2016 - BB7.2 blocked the HLAA2/T cell receptor interactions and specifically killied target cells by E75-CTL. There are 42 reference entries for this reagent. Huang et al. 2016 Scientific Reports. Donor-Derived Exosomes With Lung Self-Antigens in Human Lung Allograft Rejection. Gunasekaran et al. 2016. Am J Transplant. :. PMID: 27278097. Long-Term Persistence of Donor Alveolar Macrophages in Human Lung Transplant Recipients That Influences Donor-Specific Immune Responses. Reches et al. 2016. J Immunol. :. PMID: 27194785. HNRNPR Regulates the Expression of Classical and Nonclassical MHC Class I Proteins. Chawla et al. 2016. Cancer Immunol Immunother. :. PMID: 27129972. Neutrophil elastase enhances antigen presentation by upregulating human leukocyte antigen class I expression on tumor cells. Srivastava et al. 2016. J Virol. 90(8):3913-28. PMID: 26842468. Nayak et al. 2016. Am J Transplant. :. PMID: 27062199. MacDonald et al. 2016. J Clin Invest. 126(4):1413-24. PMID: 26999600. The Herpes Simplex Virus Latency-Associated Transcript Gene Is Associated with a Broader Repertoire of Virus-Specific Exhausted CD8+ T Cells Retained within the Trigeminal Ganglia of Latently Infected HLA Transgenic Rabbits. Lasso et al. 2016. PLoS One. 11(3):e0150996. PMID: 26974162. 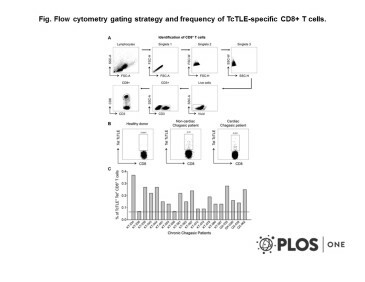 Alloantigen-specific regulatory T cells generated with a chimeric antigen receptor. Promiscuous Recognition of a Trypanosoma cruzi CD8+ T Cell Epitope among HLA-A2, HLA-A24 and HLA-A1 Supertypes in Chagasic Patients. Lasso et al. 2016. Peptides. 78:68-76. PMID: 26854383. Effect of secondary anchor amino acid substitutions on the immunogenic properties of an HLA-A*0201-restricted T cell epitope derived from the Trypanosoma cruzi KMP-11 protein. Srivastava et al. 2016. J Virol. :. PMID: 26842468. Ma et al. 2016. J Immunol. :. PMID: 26792804. Mahiti et al. 2016. MBio. 7(1):. PMID: 26787826. Relative Resistance of HLA-B to Downregulation by Naturally Occurring HIV-1 Nef Sequences. Horiuchi et al. 2015. Oncol Rep. :. PMID: 26398429. Targeting cryptic epitope with modified antigen coupled to the surface of liposomes induces strong antitumor CD8 T-cell immune responses in vivo. Dellgren et al. 2015. PLoS One. 10(8):e0135385. PMID: 26258424. Cell surface expression level variation between two common Human Leukocyte Antigen alleles, HLA-A2 and HLA-B8, is dependent on the structure of the C terminal part of the alpha 2 and the alpha 3 domains. Rancan et al. 2015. PLoS Pathog. 11(6):e1004906. PMID: 26067064. Latent Membrane Protein LMP2A Impairs Recognition of EBV-Infected Cells by CD8+ T Cells. Egui et al. 2015. PLoS One. 10(3):e0122115. PMID: 25816096. Khan et al. 2015. J Virol. :. PMID: 25878105. Noy et al. 2015. Mol Cancer Ther. :. PMID: 25852061. Recruitment of Oligoclonal Viral-Specific T cells to Kill Human Tumor Cells Using Single-Chain Antibody-Peptide-HLA Fusion Molecules. 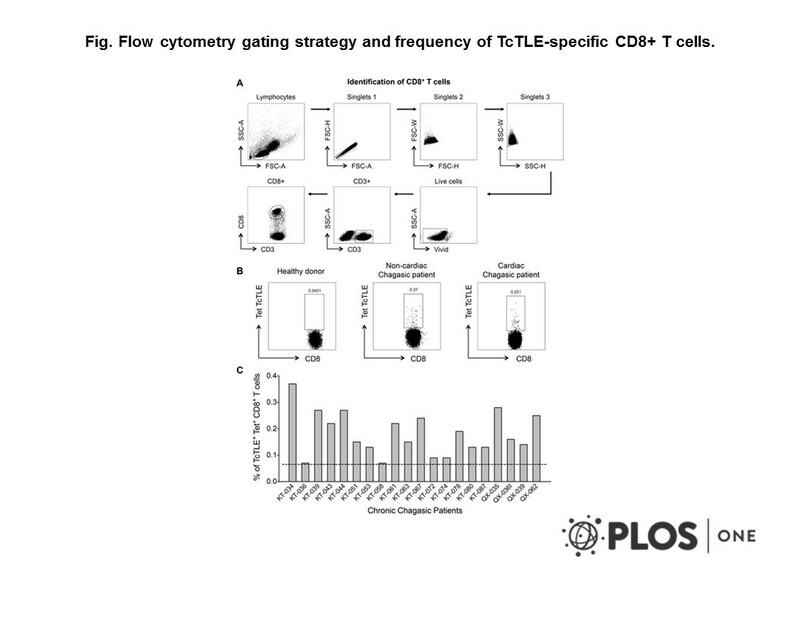 Differential phenotypic and functional profiles of TcCA-2 -specific cytotoxic CD8+ T cells in the asymptomatic versus cardiac phase in Chagasic patients. Cheent et al. 2013. Proc Natl Acad Sci U S A. 110(42):16981-6. PMID: 24082146. Synergistic inhibition of natural killer cells by the nonsignaling molecule CD94. Whitfield-Larry et al. 2011. Diabetes. 60(6):1726-33. PMID: 21521873. HLA-A2-matched peripheral blood mononuclear cells from type 1 diabetic patients, but not nondiabetic donors, transfer insulitis to NOD-scid/γc(null)/HLA-A2 transgenic mice concurrent with the expansion of islet-specific CD8+ T cells. Parham et al. 1981. Hum Immunol. 3(4):277-99. PMID: 7035415. Partial purification and some properties of BB7.2. A cytotoxic monoclonal antibody with specificity for HLA-A2 and a variant of HLA-A28.